Thoughts from a Traveling Tech: Happy Veterans Day! Here in the United States we have a specific day (November 11) set aside to celebrate and honor the price paid by those who have served in our armed forces. As the son of a veteran I can attest to the price that is paid by the service member, and even their family. We traveled the world and saw many cool things, but we also missed out on a lot in the US while we were gone. My father missed a lot of time with the family while he was deployed, and still lives with the effects of his decision to serve his country. I also have many dear friends that are still serving today. They are putting their lives on the line everyday doing something that I could not, and I appreciate them that mush more for it. I only wish I could reward them somehow. 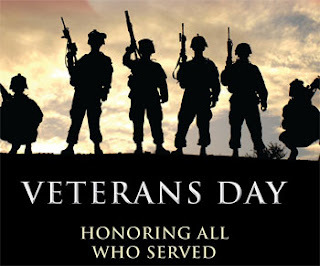 They deserve your respect and honor and I hope you will take a moment and thank someone who has served. I know I will.